A tour through the Nowhere Islands. Featuring a song sycned up to the stage (assuming you don't pause). Includes 2 versions, one with platforms and an omega version. FD Base. The Abandoned Zoo from SSE is now a true vPM castle siege 1:1.... with a FD base. Same layout, collisions, camera and boundaries from Castle Siege, water can't be interacted with and has working shadows. 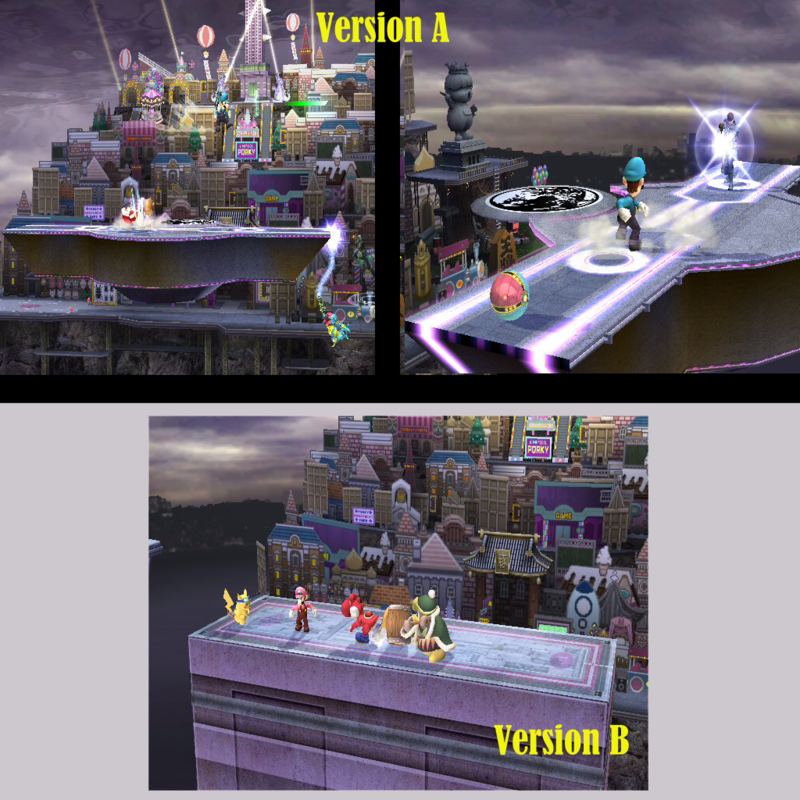 However, here, it comes with the proper SSS files to resemble a regular Project M stage, alongside a few notable extras that will let it look more like a professional stage insertion in general that were not provided in the original. It is up to you if you wish to use it. 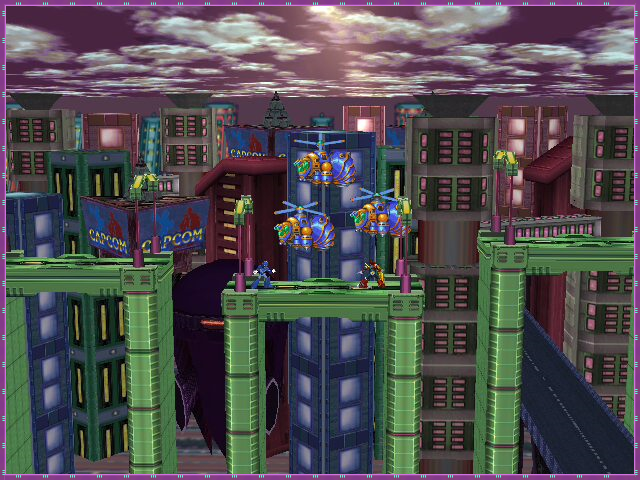 Another notable edit I made was combining the Maverick Hunter X and Mega Man X versions of this stage into one, as Project M has two slots available on New Pork City. As such, I recommend using it there the most as it will look the most natural. The stage files were renamed so that you only have to insert them and as a bonus, the soundtrack from Mighty Switch Force. In fact, the main reason why I added this stage myself was because when I first heard that soundtrack the other day, I loved it. 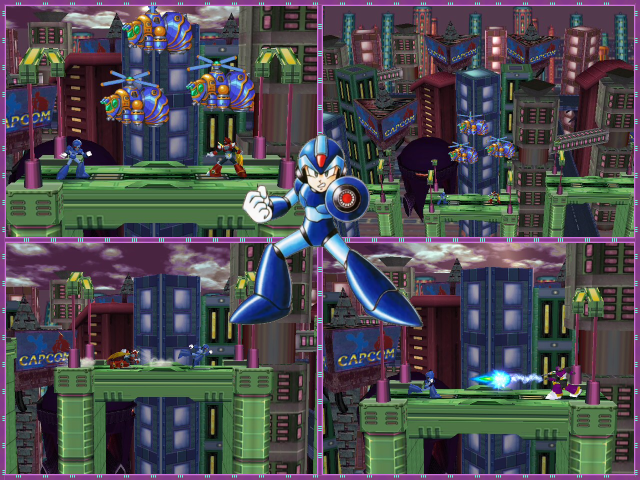 So, upon failing to find any stage of the game on the vault, I decided to use a Mega Man stage, as the game is basically taking inspiration from that anyway. The end result was that I decided to do heavy SSS work on this stage and bring it here today. As such, all of what you see here is basic cut and paste, with the exception of where you wish to put the series logo and series title, as that is up to you. But, they are there so that you can do it at all, so maybe replace the Earthbound ones for example. Oh, and one last thing, as I mentioned earlier, I recommended you use it over New Pork City. This is also cause the soundtrack files, being cut and paste as well, were named properly to accommodate that stage's music file titles. It fits there the best as the result. "Here, Master Porky has given you your freedom." I guess I wanted to create a definitive New Pork that still encompasses the qualities that made the original version fun or unique, even if you guys are sick of seeing this stage already. - 8 Versions, 4 of each type. 4 go over battlefield with a .rel and the other 4 go over NPC without one. The notepad inside will explain further. - Destructible platform returns for interesting platform options. Notepad will explain what else is relevant for it. 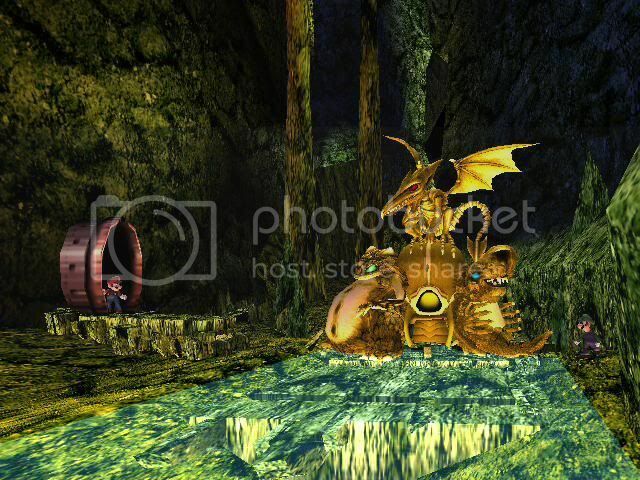 - The stages over NPC will grow dark as if the chimera appears. It does not appear however and majority of the special effects that signal it's appearance are gone. - Carnival ride present and rocking back and forth. - Menus, names, and BRSTMs included. 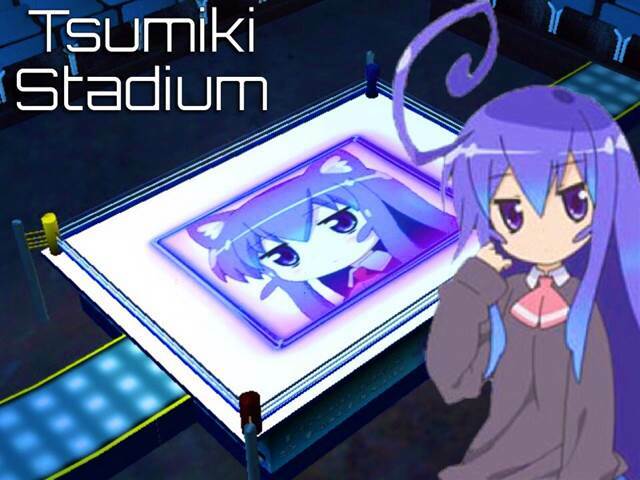 This is Miniwa Tsumiki's Stage from PLACE TO PLACE ! 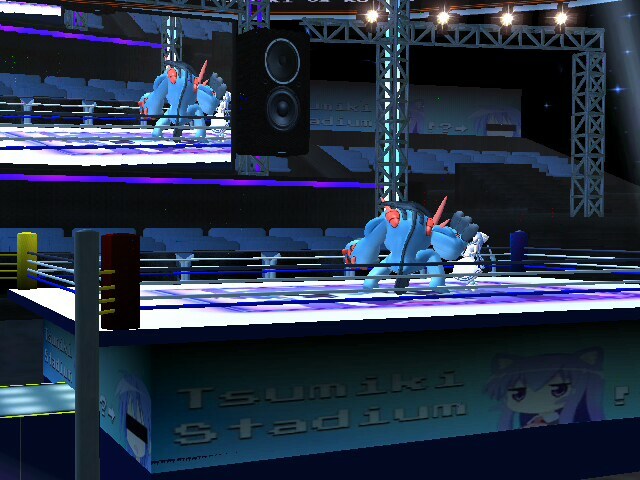 Boxing Ring stage made by Oizen, Demonslayerx8, and Lakitwo. Hey there, everyone! As some you might know, I've released my original Central Highway, based on Maverick Hunter X, back on january but this time I'm here to present the classic SNES version, for all of you fans of the original game! This alternate version comes with a brand new texture revamp and some model edits. There are also 2 fitting brstms, all the needed SSS Stuff, rel files to use it over New Pork City and over Custom Stage Slot, but you guys can also use it over Final Destination without rel files. This version wouldn't be made if jeffersonian didn't started his own retexture of my stage, which some were used by me. Many thanks to him for reminding me of all the Classic Megaman X fans, if it wasn't for his PM I wouldn't continue the project. Hope you all enjoy this stage as much as I do! 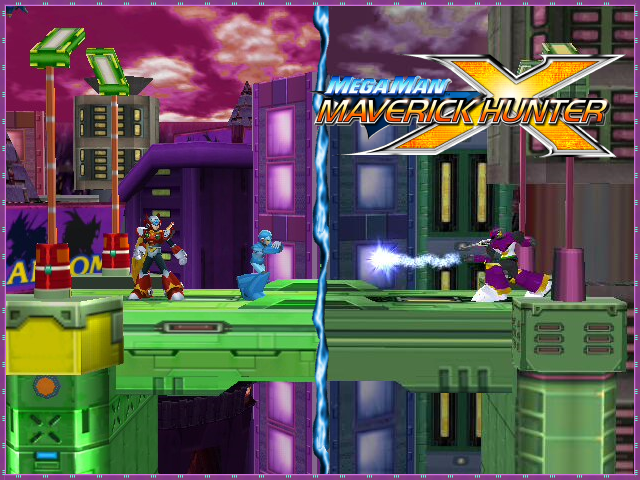 Hello everyone, after a long time I've finally completed the stage started back on 2012, from Maverick Hunter X, and probably the most well known stage from the series: Central Highway! 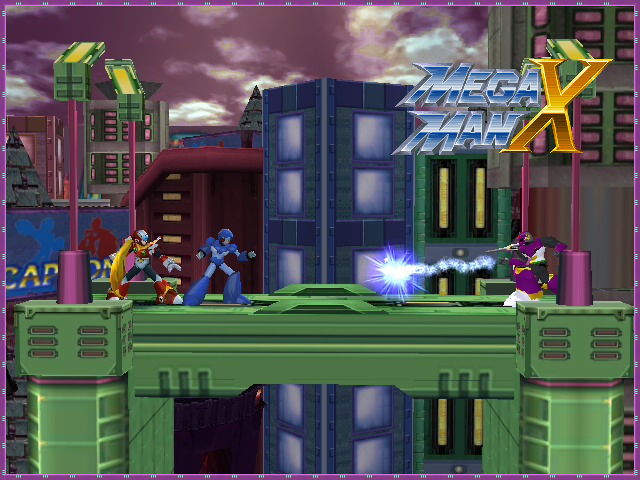 There are animated Bee Bladers, Serch Lights, and some elements to give the stage a Megaman X series feel, like the Capcom signs. 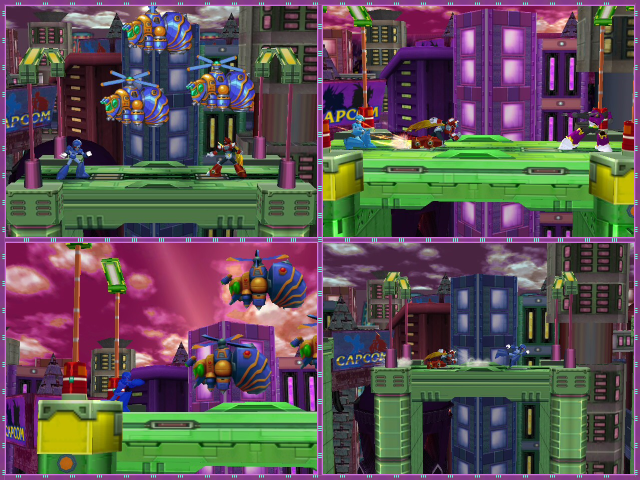 The download now includes an alternate version, based on the SNES version of Megaman X, many thanks to jeffersonian for starting a retexture of my stage, which reminded me about all the classic lovers! Like always, I've included a brstm pack, all the needed SSS Stuff, rel files to use it over New Pork City and over Custom Stage Slot, but you guys can also use it over Final Destination without rel files. If you want to request a stage for me to make then go here to my stage thread. Thanks to the person for recording a video of this stage in action. I can finally update this now that there is a perfect version of Melee fourside. There is a little slope on the right side of the stage, excuse the preview. The buildings have been brought closer together in a orderly fashion. I moved the main tower back because i didnt want to lose the feel of the main tower. 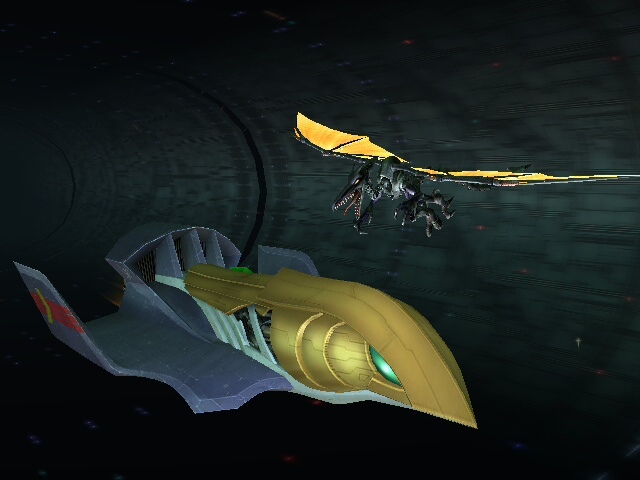 Also the platfrom kind of acts like smashville's platfrom but with some added effects. edit: stage is all fixed now, so redownload it! Updated Las Vegas with better CLR0, VIS0, and SRT0 data. 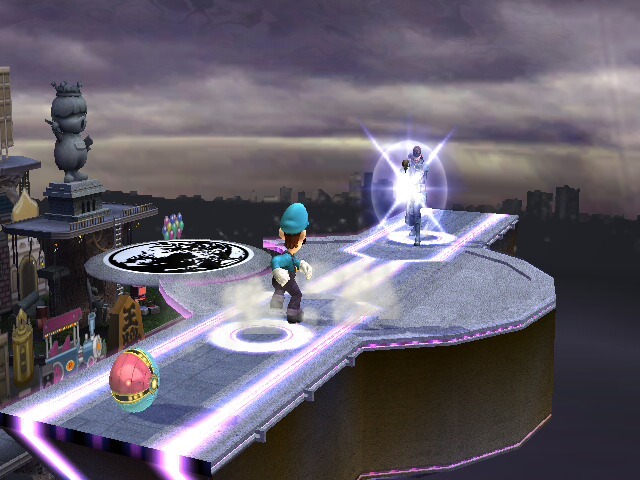 Only glitches is the SRT0 loop graphic glitch which causes a purple flash in the middle of the stage. The released version will NOT have the glitchy buildings since I was testing out REFT files. update: thanks to Superlucario603 for sending me the file. this is a fixed .obj import! 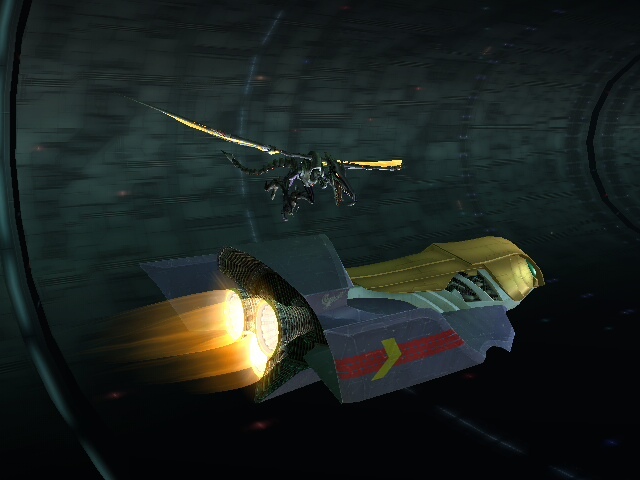 Ripped from Dissidia 012, and a stage from FF12. well for the past few days, i started to revamp this stage, figured out that it was missing some polygons/objects/materials. 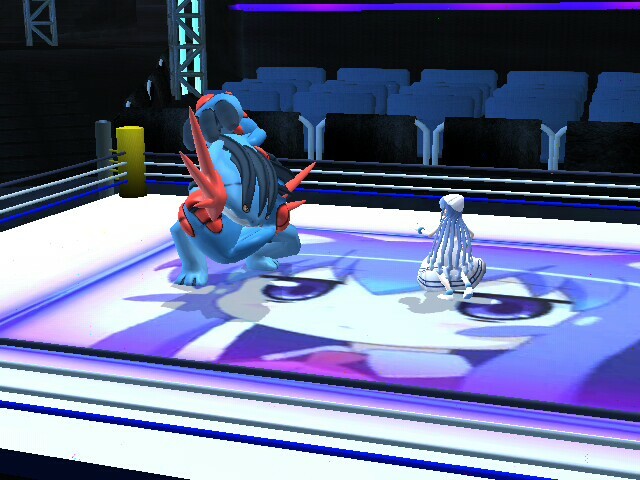 So i decided to make them from scratch and add it onto the stage model. I've also completely revamp'd the animations also, cause in the last preview, i didnt like it that much, so i hope you guys like this 1!! Comes with 2 brstm files, SSS Icons, and stage files. Hope you enjoy this stage as much as me!! Osohe Castle from Mother 3! The castle where Duster meets Princess Kumatora, in the hunt for the infamous Hummingbird Egg. All the hard work on this stage was well worth it, I'm pleased. It can also go over New Pork City with a rel file included in the download. Thanks to DataDrain for the video! Fourside from Melee, finally with the looks it deserves. Now that model importing is a powerful tool in brawl hacking, I've worked hard to make Fourside look just like the old melee stage. 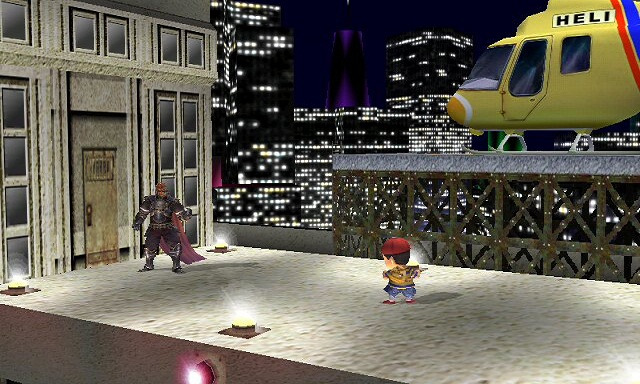 I've animated the crane, the helicopter, given colors to the buildings and everything the stage needed to look really good. 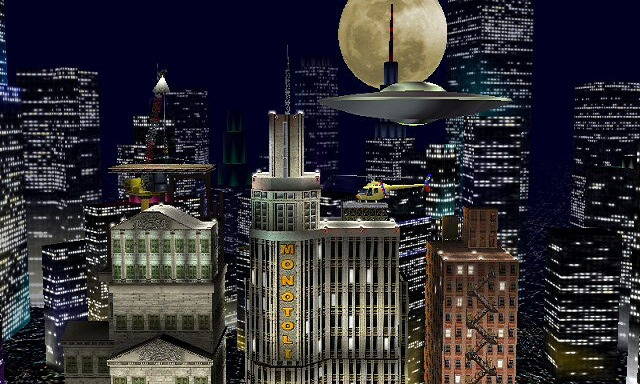 It's also less glitchy over the Earthbound stages, with no weird teleports or hitboxes. Only issue is the stage getting dark sometimes when used over Newpork. But you can use it over Onett, Final Destination, Jungle Japes and other stages with no care about the rel file to use. Tourian Gate by Razanak7 with credit to Calamitas for polygon deleting, and Dhragen for the Ivysaur Kraid texture. The download has been fixed. It now includes the proper rel. 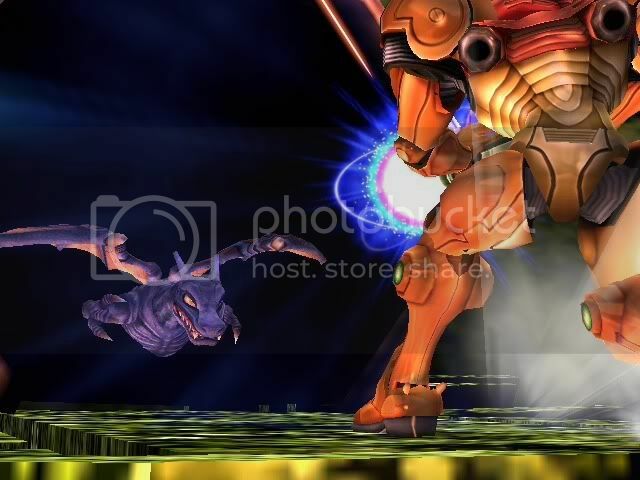 Remember Super Metroid? Of course you do. Well, with Other M finally out (SO MUCH WIN! ), this seemed like an appropriate time to release my tribute to my favourite franchise. This version of The World That Never Was has slight texture changes as well as a Rainy version (thats fits the music perfectly) This has the buildings on the sides removed and is a bit smaller overall. The World That Used to Be by FairKnight with credit to Mewtwo2000, Micaiah91, RobzdaBlades, and S.S. 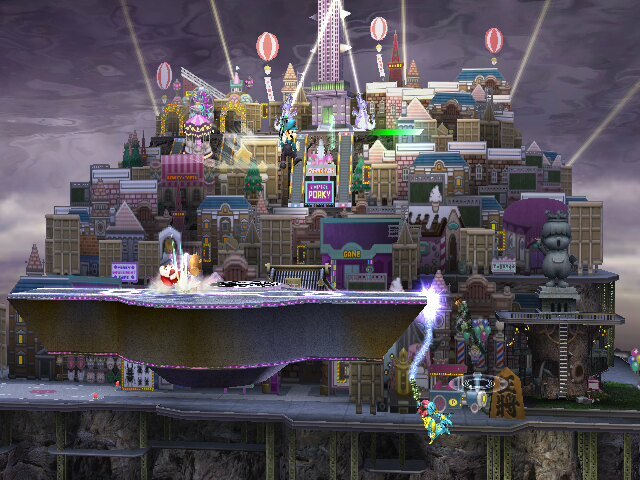 This a fan-made KH stage, the format is a tad different and is very fun to play on. It has a part vibe and is basically a The World That Never Was, with people and before the Nobodies took over. 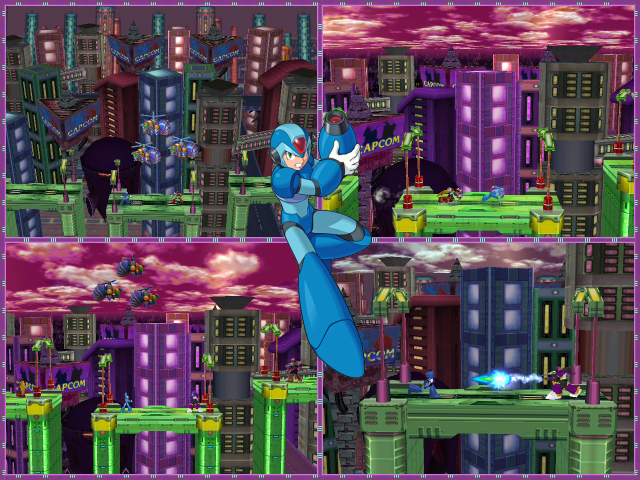 It has fitting music, and the stage is still rather big (About half the size of temple) it should work for all Brawls. It includes brstms. Page created in 0.333 seconds with 136 queries.